Eligibility: not a student nor affiliated with the University in a capacity that qualifies for a parking permit. Purchase a visitor permit at the Parking Services office located in room 112 in the Administration building for $2.00. Use one of the visitor parking spaces in the visitor row located in the Administration building west parking lot. There is a one hour time limit for use of these spaces. Parking meters are available for short term parking needs and may be found at the following locations: Near the Schurz Library in the Hildreth parking lot, Northside main parking lot, and Northside lower parking lot adjacent to the southeast building entrance. The lower Northside lot meters have a maximum time limit of 15 minutes for $0.25. All other meters have a maximum limit of two hours with a fee of $0.25 per 15 minutes. Anyone using a metered space must pay the fee regardless of whether they have a campus parking permit. Visitors to the Schurz Library may park in the metered spaces located in the Library lot just west of the library. Visitors to the Student Activity Center may purchase a visitor permit at the Parking Services office. 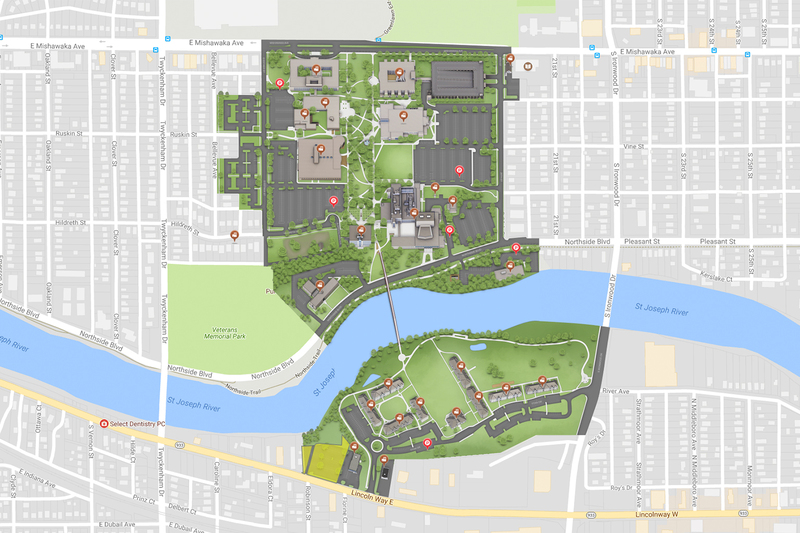 Other options include metered spaces which are located throughout campus.